Online Registration is now closed. You may still register during packet pickup on Friday, May 11th from 2pm-6pm at Elite Cycling, Saturday, May 12th at the race site from 3pm-7pm or on race morning from 5am-6:45am. 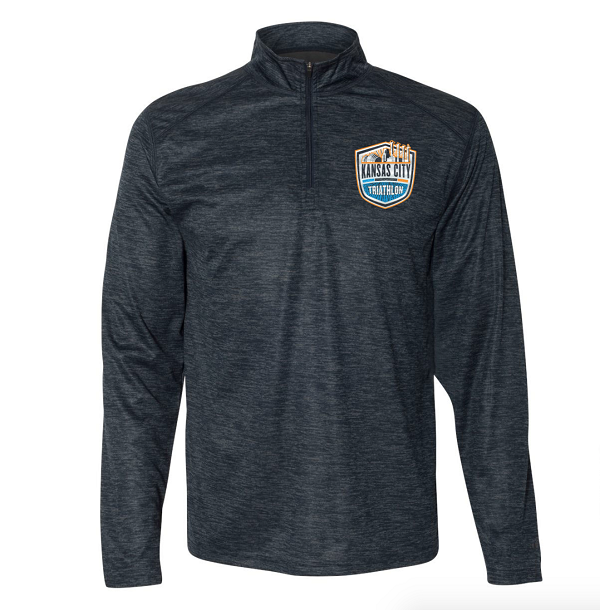 The participant shirt this year is a quarter zip! Both Olympic and Sprint Distances are being offered in 2018. The Sprint distance course includes a 500 meter swim in Longview Lake, 20K bike course along the scenic roads around Longview College and finishes with a 5K run through the trail system of Longview Lake. The Olympic course consists of a 1.5K swim, 40K bike and 10K run throughout the same areas as the Sprint Course. 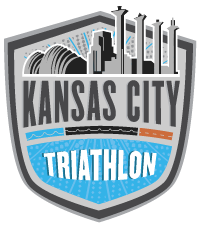 The Kansas City Triathlon truly has something for everyone! When this page loaded, the official time was 8:20:13 AM EDT.